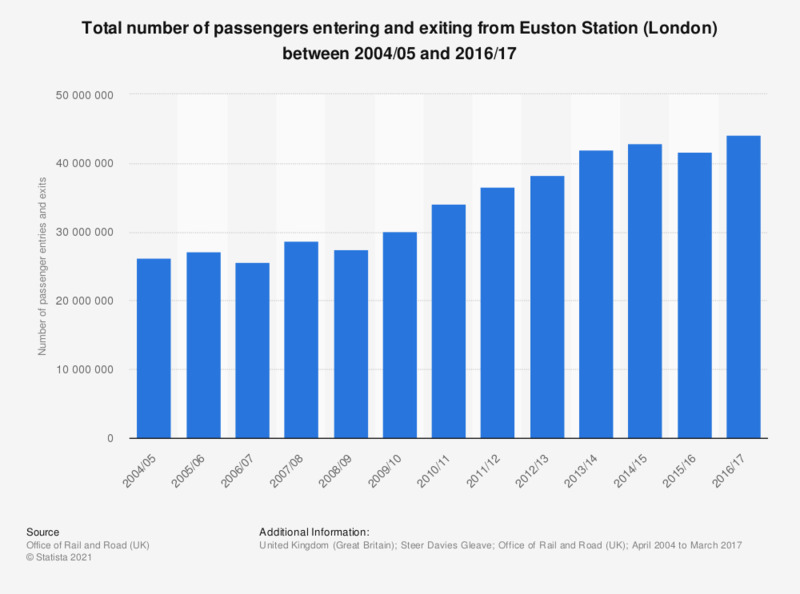 This statistic shows the number of passengers entering and exiting from Euston Station between 2004/05 and 2016/17. The station saw an increase in the number of passengers passing through which was especially strong since 2008/09. In 2016/17 the number of passengers increased up to 44 million.